Kratom Experiences - Facts/Benefits/Risks -You Need To Know. Kratom has caught the attention of both enthusiast and drug enforcement organizations equally. The herb has undoubtedly aroused some mixed feelings. For some Kratom is considered a medicinal drug. The medicinal value of the herb is yet to be backed up by scientific data but, in multiple occasions, it has helped withdrawal from opiate drugs, like heroin less demanding. There has been a menacing cycle of relapse and addiction Kratom users scuffle with. What most people choose to blindly to dismiss is that Kratom is as addictive as any other opiate drug. This and much more information has been gravely ignored. Here’s is what you need to know before trying out the Kratom experience. 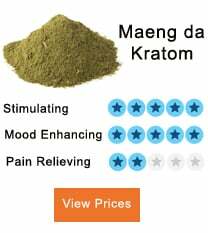 2 How do People use Kratom? 3 How does it affect the brain? 5 Can Trial and Error cause addiction? 6 Can Kratom addiction be treated? 7 Does Kratom have Medicinal Value? Back then they might not have known, but this was possible because the plant contains up to 40 compounds and nearly 25 alkaloids. Out of the 25 alkaloids, the most notable ones are 7-Hydroxymitragynine and mitragynine. The two potent chemicals in the leaves of the plant are what give Kratom its opioid effects. While mitragynine delivers slightly mild opioid effects, 7-Hydroxymitragynine delivers 13 times stronger effects that morphine per milligram. That said, it worth mentioning that the herb severity and propensity are far below those of class 1 substances. However, the herb has its adverse effects and is addictive. The effects were severe to moderate in 7 and 42 percent of the reported cases respectively. Kratom is an unpredictable herb regarding the effects it causes, however, active ingredients can be used to alter the drug. In an assessment made on the Kratom products, the amount of 7-hydroxymitragynine levels were appreciably higher than those that can be naturally conceived by the plant. This negates the safety of individuals that might be using the plant for its medicinal benefits. The leaves of the plant can be chewed or brewed as tea after drying. In some cases, the leaves are eaten in food or smoked. The herb has similar effects to opioids and stimulants. The two potent chemicals in the leaves of the plant interact with the brain receptors producing sedative chemicals, trigger pleasure hormones, and pain relief. Like coffee, when mitragynine is consumed in large amounts, it stimulates the brain and makes the user more active. When ingested in reasonable amounts users reported an increase in sociability, alertness, increased energy, and alertness as opposed to sedation. In 2017, the FDA issued warnings on Kratom use and by then identified 40 deaths related to the herb use. Some went further to note the difference between deaths caused by pure and contaminated Kratom use. In most cases, the deaths caused by Kratom use were a result of adulterated Kratom or combining Kratom with other potent drugs. Can Trial and Error cause addiction? Can Kratom addiction be treated? Currently, there are no specific treatments for the addiction. In some cases, behavioral therapy has been used with a significant amount of success. Scientists are yet to come up with a mitigation measure to help with Kratom addiction. 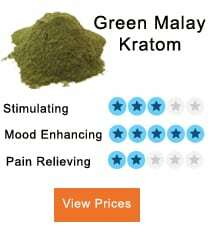 Does Kratom have Medicinal Value? Among the various uses of the drug, Kratom is used to help with withdrawal symptoms and cravings linked with addictive substances such as alcohol and opioids. Unless scientific data has been produced backing up the viability of this method of withdrawal in the span you’ve been reading this article, further research is required to substantiate these claims. The concept behind the increasing use of the plant to relieve pain is that unlike morphine it has a lower propensity of causing addiction. The alkaloids and the opiate receptors in the nervous system combined result to the release of endorphins and enkephalins which numbs pain receptors. 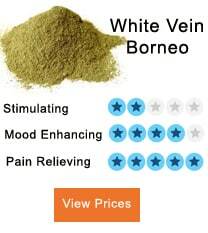 Conditions like an osteoarthritis and chronic backache are tuned down by Kratom extract. Here, Kratom extracts act as a psychostimulant as it releases serotonin and endorphins which improve the overall mood. Moreover, it calms down the mind making the relentless anxious thoughts bearable. It also alleviates symptoms such as sweating, insomnia, and hyperventilation. 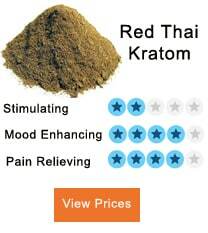 Generally, people with PTSD, panic attacks and mood swings are better suited to use Kratom in appropriate amounts. Depending on the strain of the plant, the Kratom experience is different. Some strains might give a euphoric feeling. Well known for review on Kratom products, this non-profit forum has played the role of propagating Kratom fame. Though the forum is engaging and well spectated by its members, it has one major drawback. The registration process requires approval by the forum moderators. The main issue with this is the waiting period. Prospective users looking to join the forum have complained of the long approval period that often takes days or even weeks. Things are looking up for the website, to that effect, they might soon make improvements to their registration policies. Some of the thumbs up are that the site filters the content in respect to its relevance. If the embers deem the information posted by members valueless, the moderators take it down. The site also strikes a balance between unbiased discussions and serious matters. 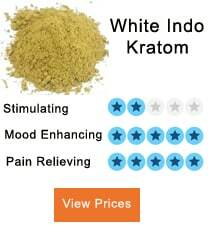 Ultimately, the site is only likely to give an insight into matters concerning Kratom. This forum is part of the American Kratom Association. Formed to safeguard the rights of Kratom users without backlash from legal systems. Here, you can share what you think about your Kratom Experience. Since 2014 when the forum was started, the main aim of the forum was to improve the health and well-being and rights of their members. The forum alongside the association championed in petitioning against local government and federal state to diversify the monopoly in the healthcare sector. After Kratom was linked with depressive state control and pain control the forum unified Kratom users. Registering as a member on AKA forum is easy. Although new members have limited access to the threads, once the registration is complete you can access their archive and go through situations similar to yours. The site goes further to give you the number of members online. Once you are a member, you get the chance to voice your claims and contribute to topics affecting Kratom users. From fighting misinformation to taming organizations pointing fingers, the association and its subsidiaries have put in commendable advocacy effort. A forum wholly dedicated to building vibrant discussions about Kratom. Discussions that cut across the board on different aspects of the extract. 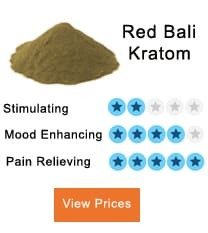 From legit products in the market to the steps necessary to cope up with the usage, the forum is more of a safe harbor for the Kratom online community. The forum allows the members to review common Kratom vendors. They also allow for vendors to market their services — a one-stop site where you can siphon advice and satisfy your Kratom needs. The site, of course, has had its fair share of shakes with some users complaining of low-grade extract. Like every forum, it’s easy for new users to get bullied and manipulated with low-grade Kratom. There are claims that the forum does not allow users to fully express their issues. Complains about getting banned due to voicing legitimate misconduct by the vendors are not unheard of. All in all, the forum has more to offer than to take. With the right vendor, your overall Kratom experience will be well complemented. If you are looking for a Kratom experience, or just want to carry out a trial and error, now you have all the basic information. The psychotropic effects of the herb are most sought after. With the availability of the herb ever increasing there are high chances the herb might be a significant help in the medical world.